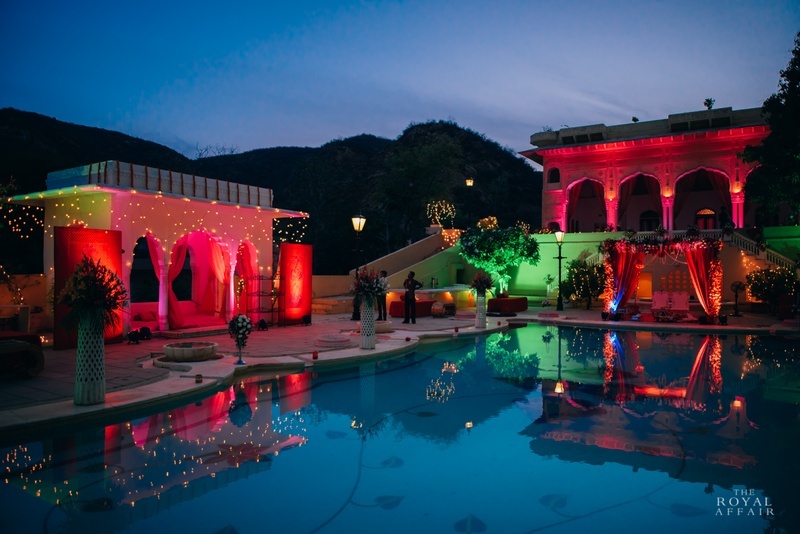 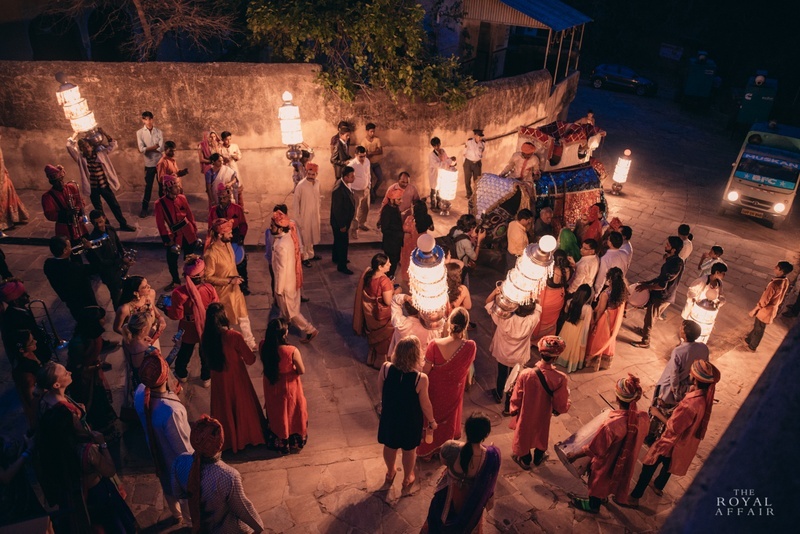 Samode Palace, Jaipur saw a different kind of destination Indian wedding this time around. 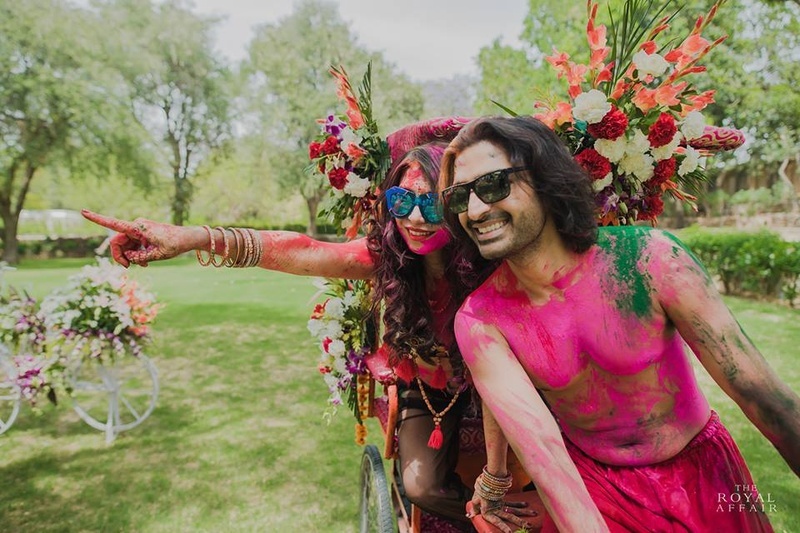 There were no grand chandeliers or typical clustered floral arrangements – the wedding of Shauna and Sachin was one of a kind awesome, loaded with tons of boho-kitsch elements. 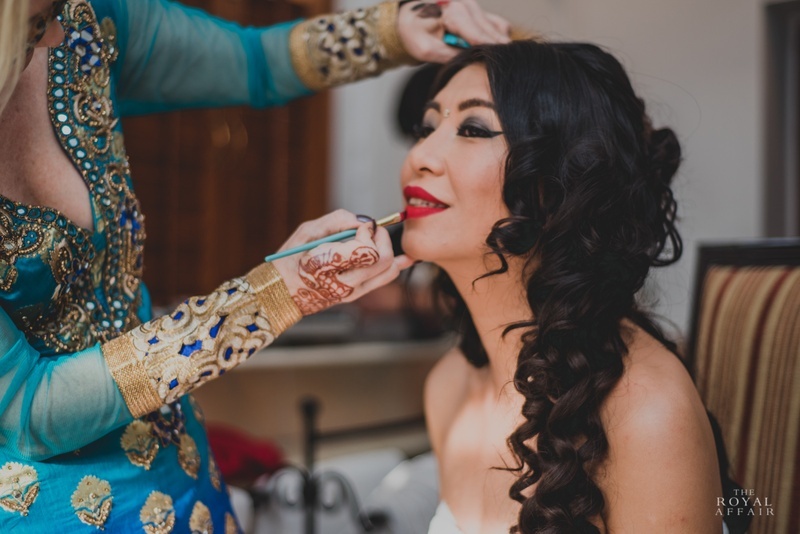 For Shauna, she always dreamed of having a wedding like that of Aladdin and Jasmine. 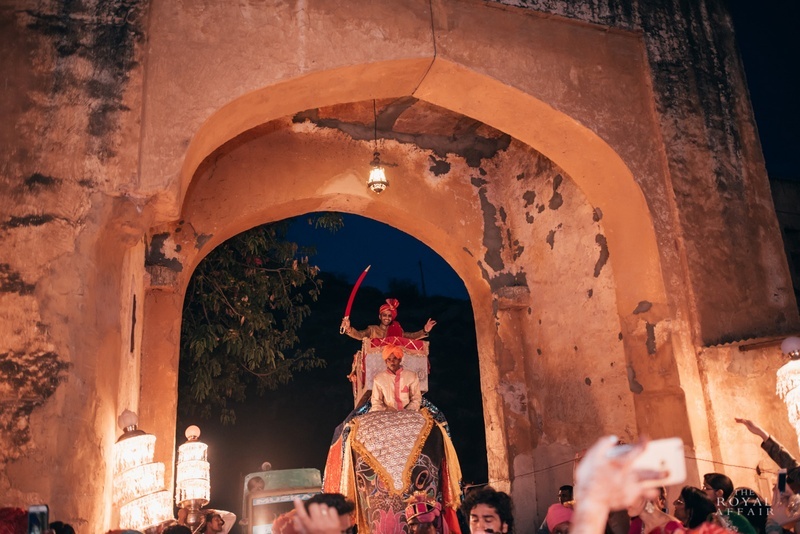 The groom rides on an elephant to meet his bride waiting for him in a palace. 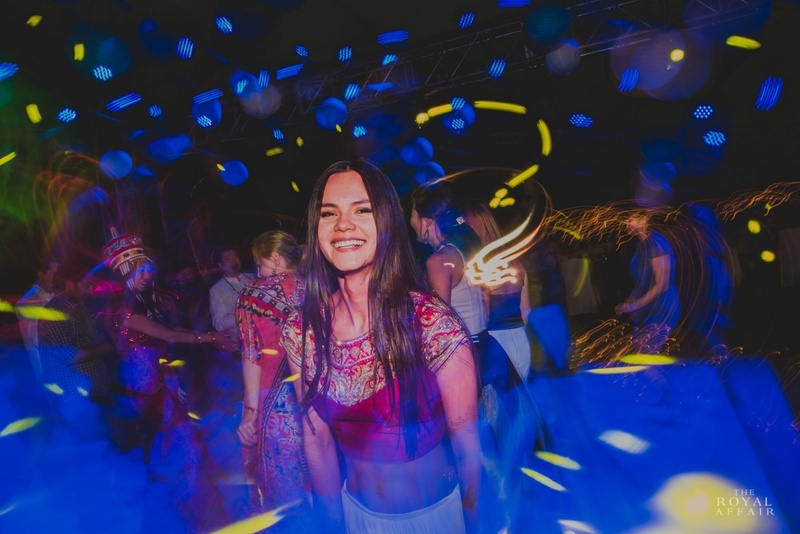 The exotic top and harem pant in hues of sky blue was every little girls dream outfit for a fancy dress competition – but Shauna brought this desire to life. 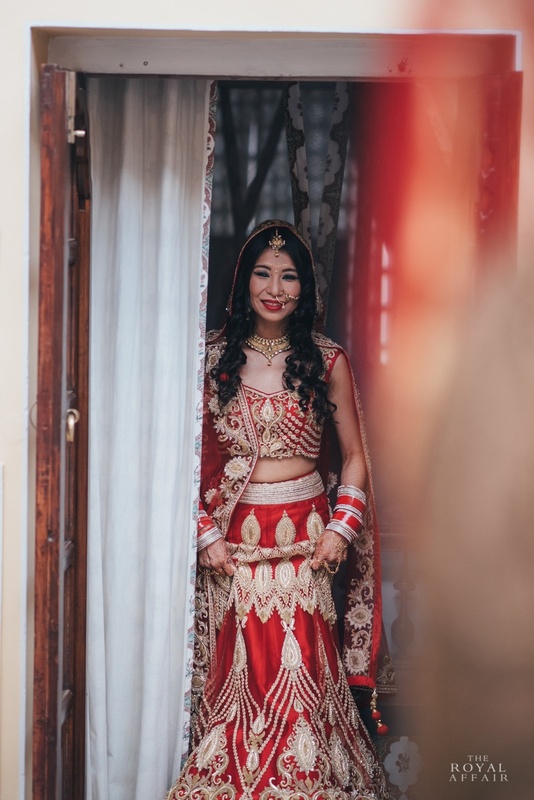 Amalgamating the Disney princess dream along with desi tones of red and gold she looked like a striking contemporary princess! 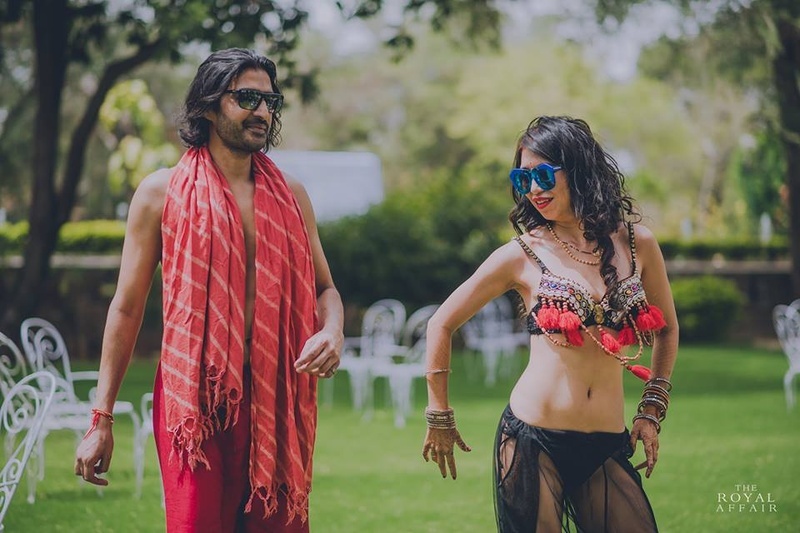 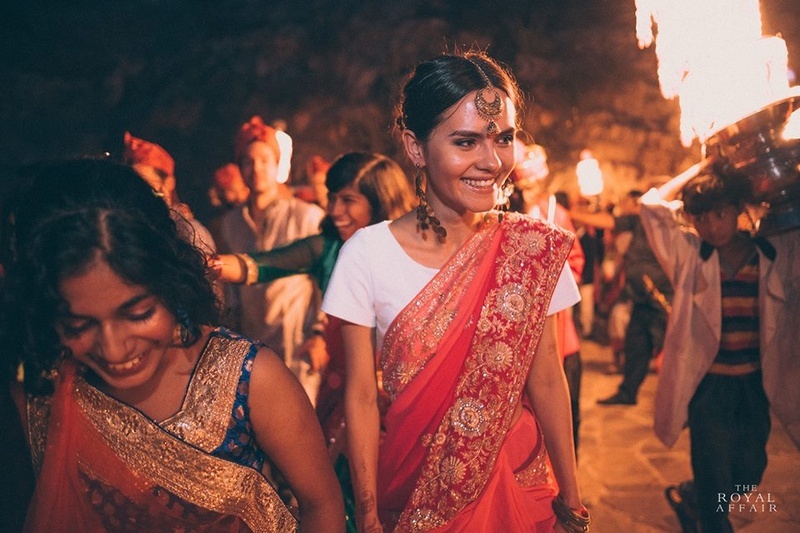 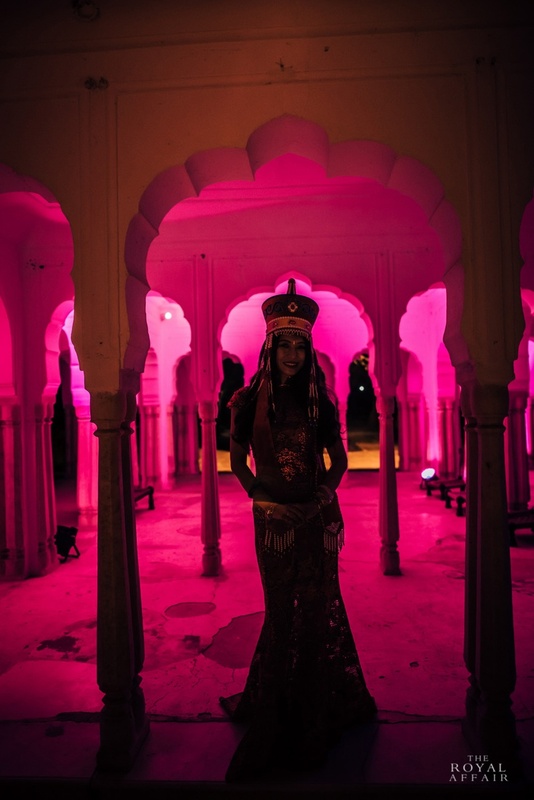 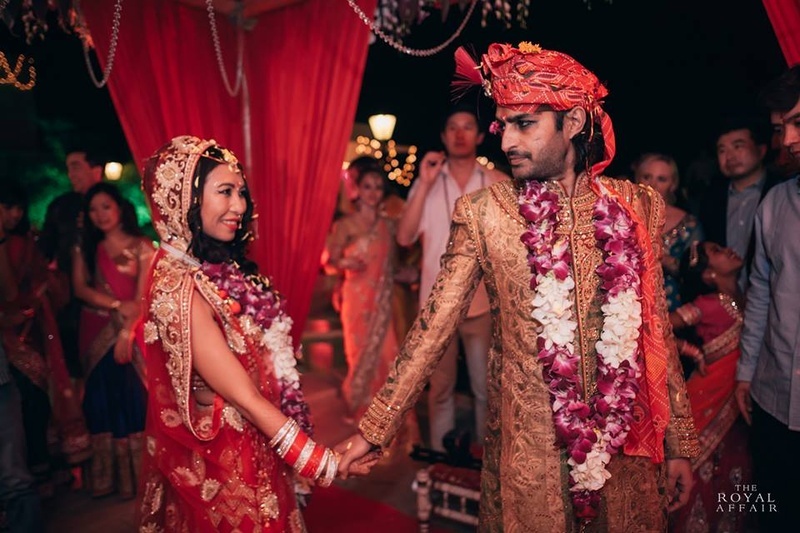 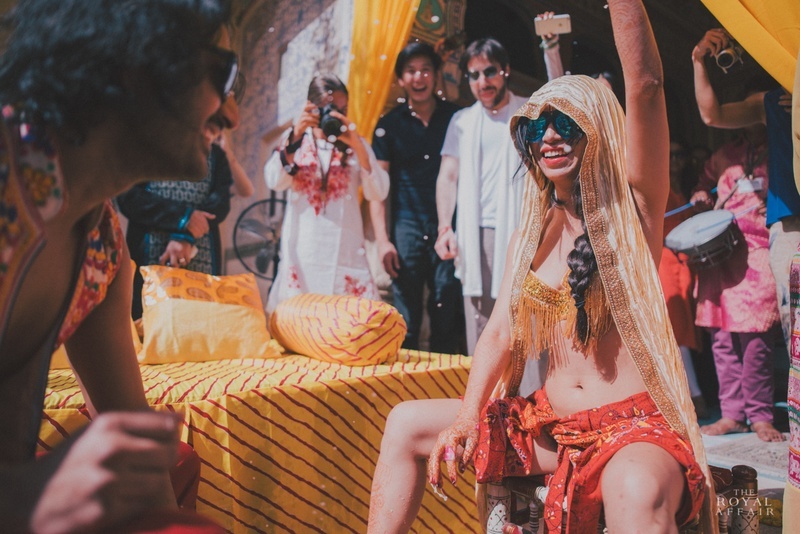 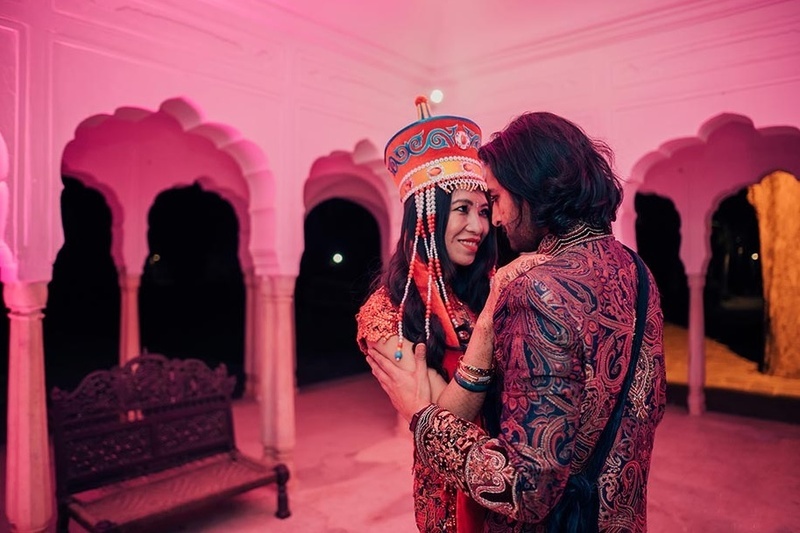 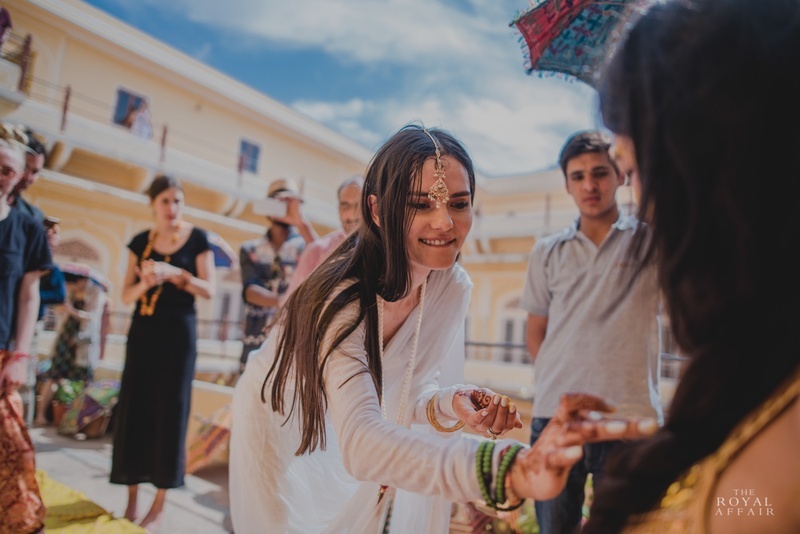 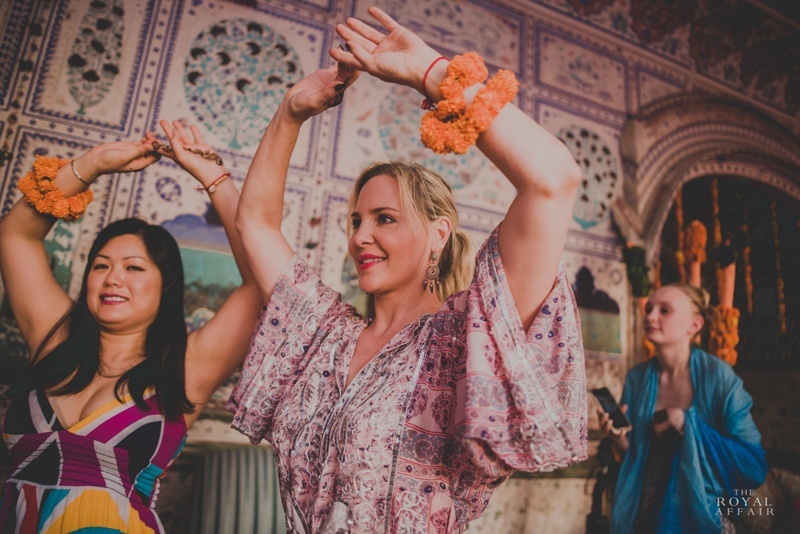 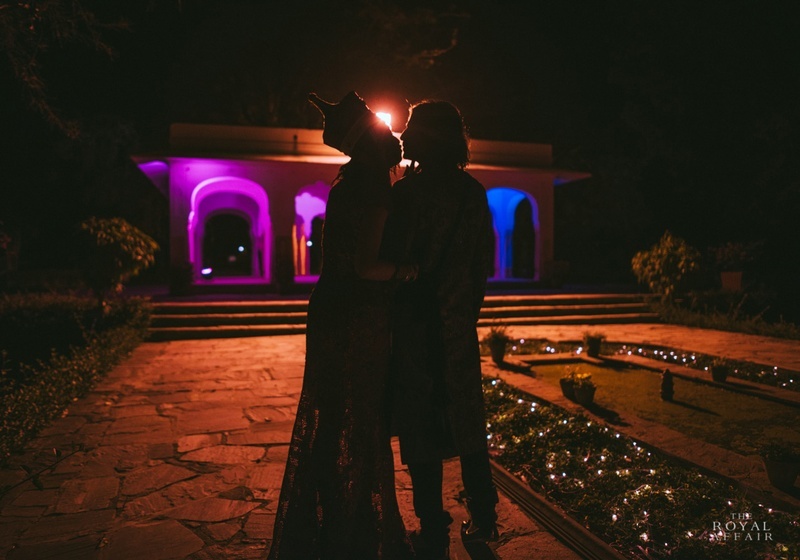 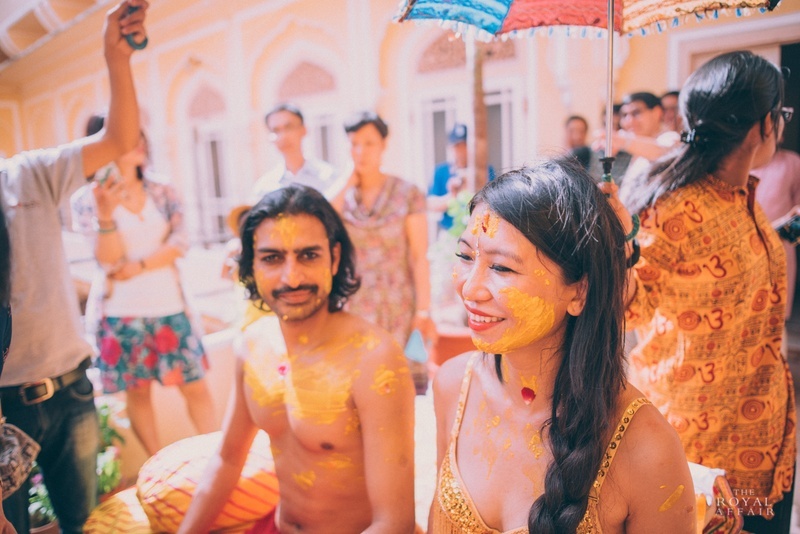 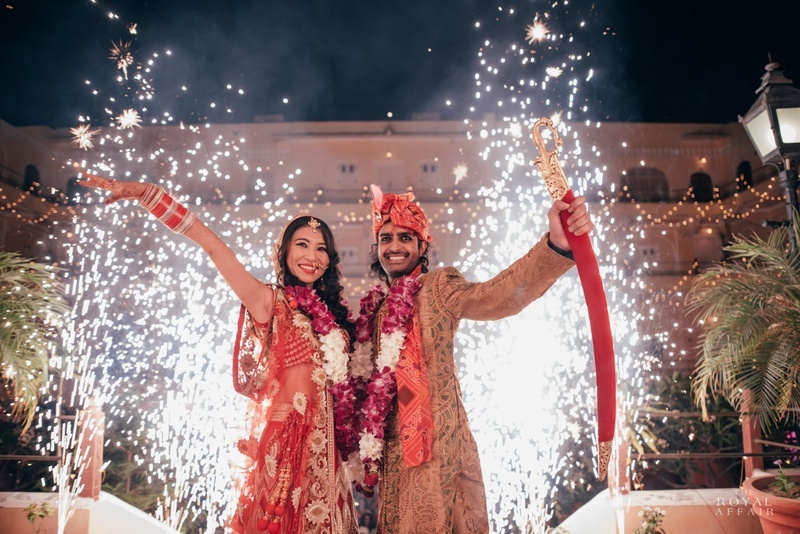 A two day destination wedding celebration that began with the mehndi and welcome party where Samode Palace, Jaipur was transformed into a Coachella-like space with loads of colour, dance and whole lot of love. 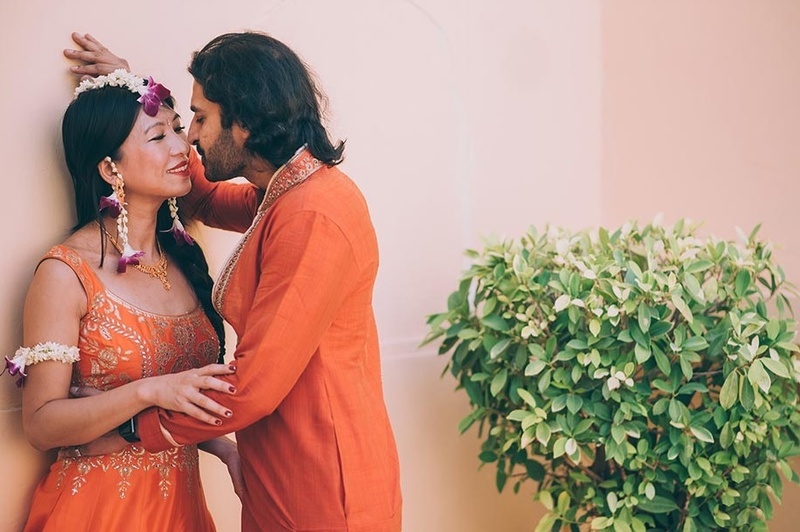 Shauna and Sachin had a vision of a wedding that was different, exotic and yet desi. 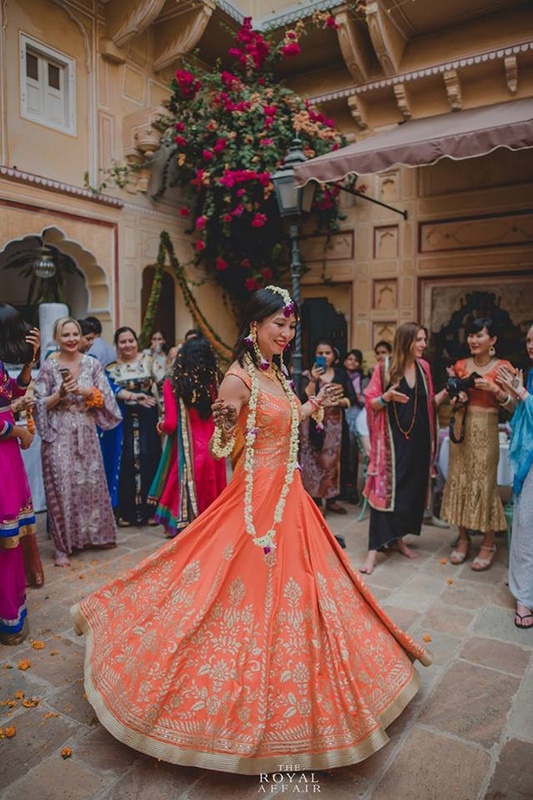 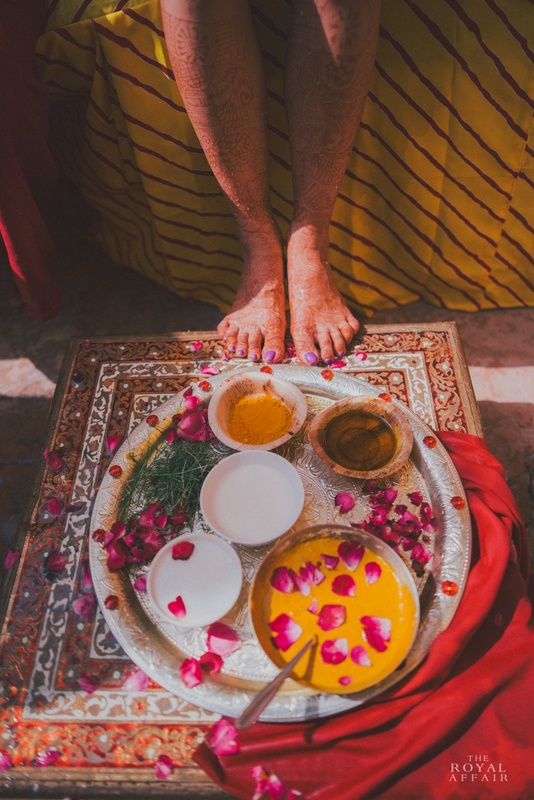 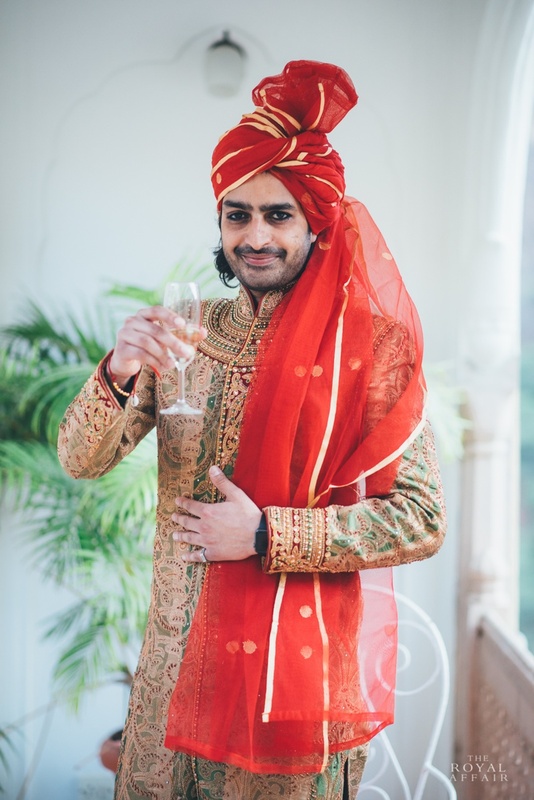 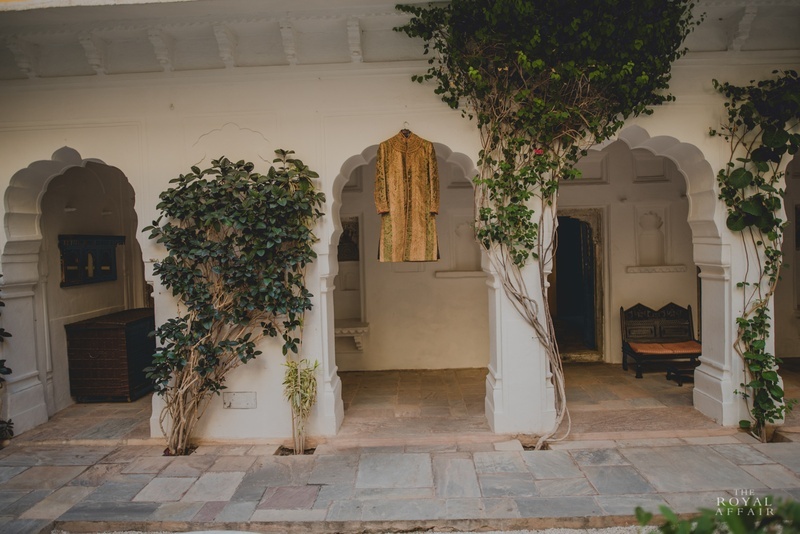 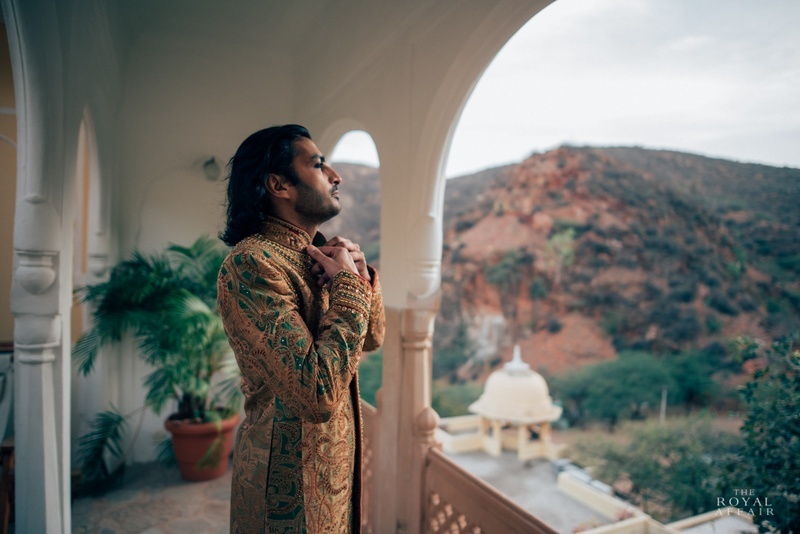 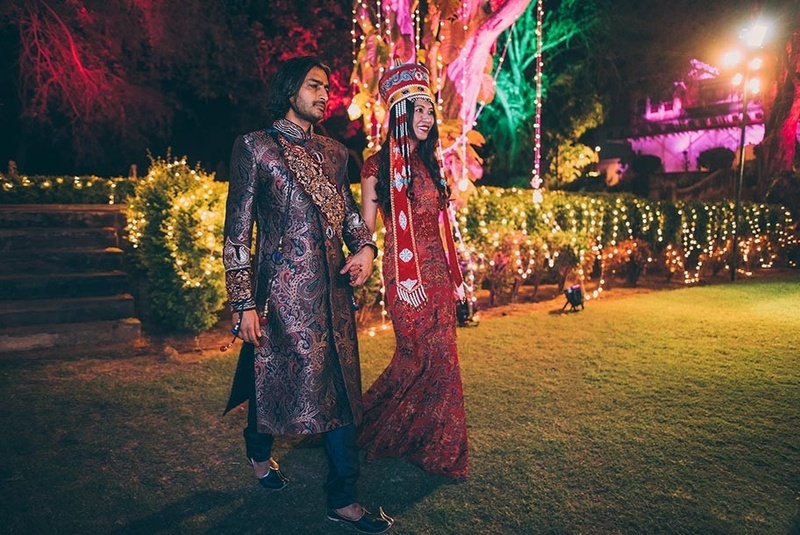 Along with their wedding planners, Yes Media, they were able to whip up a wedding at Samode Palace, Jaipur that had all the elements of an boho-chic celebration yet had the warmth and closeness of a destination Indian wedding! 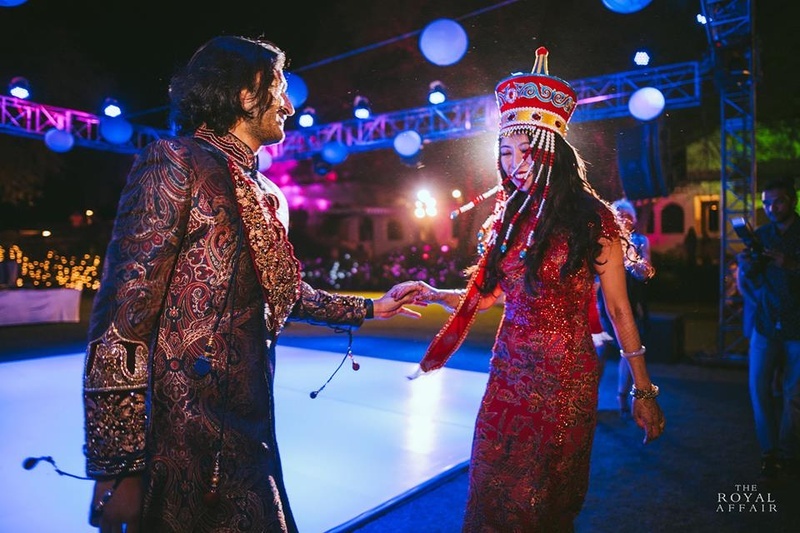 Major props to The Royal Affair who captured every element of this cross-cultural destination wedding in all its kitschy glory! 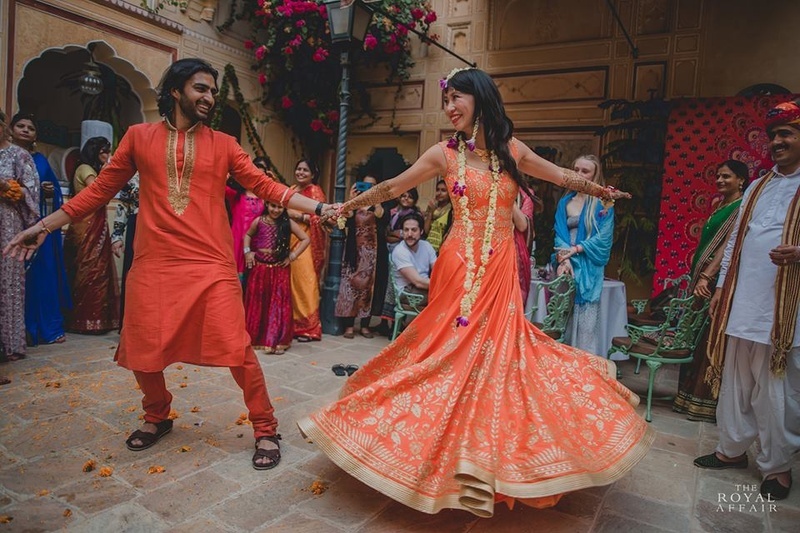 Bride and groom dancing to their mehendi celebrations. 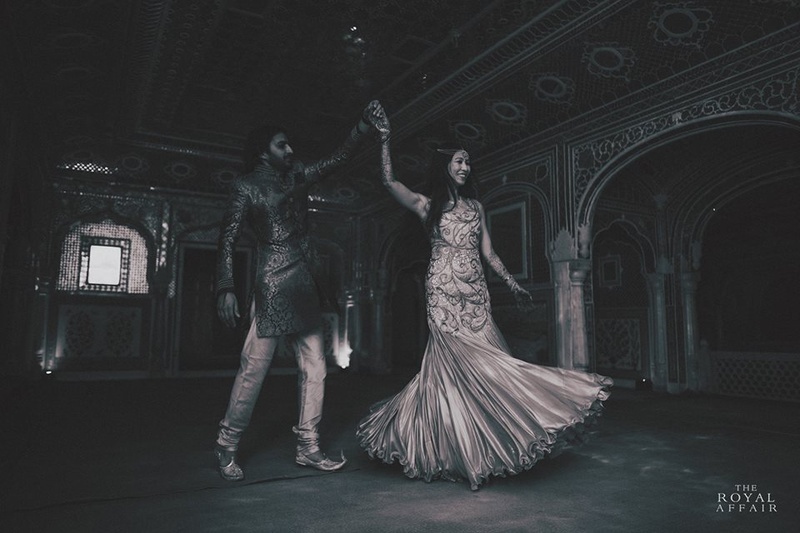 Black and white candid couple photography moments. 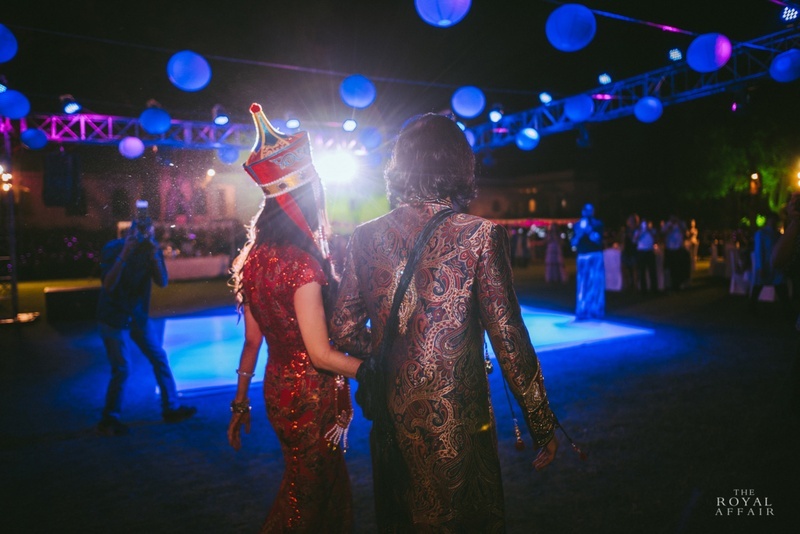 Right before their cocktail party. 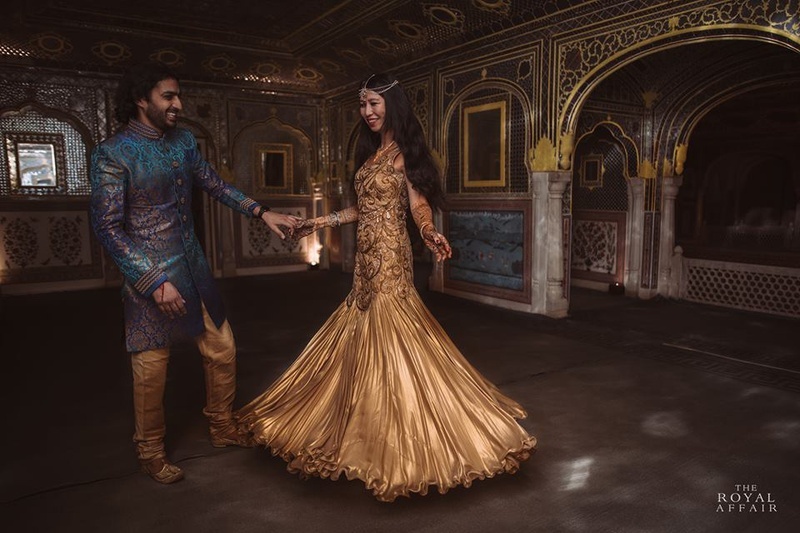 Bride wearing gold fishtail silk gown with heavy embroidery styled with a multi string pearl necklace and diamond kadaas. 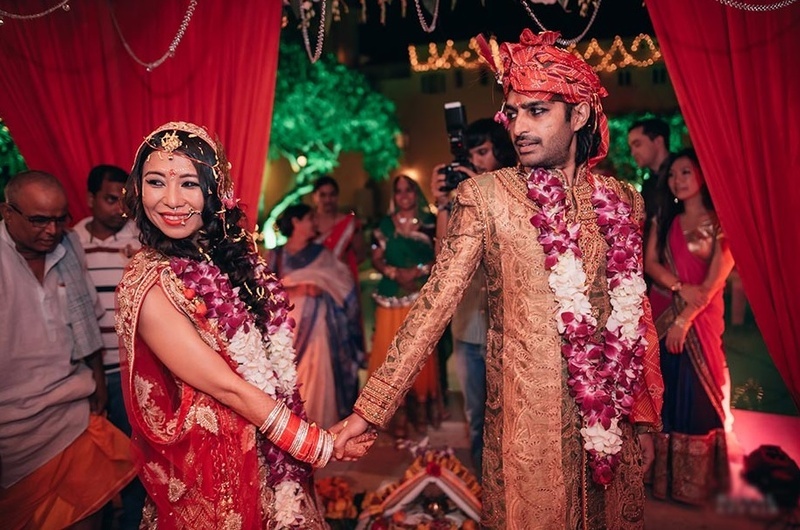 Groom Compliments her in a multi hue blue bandhgala with silk cream chooridar and moojris. 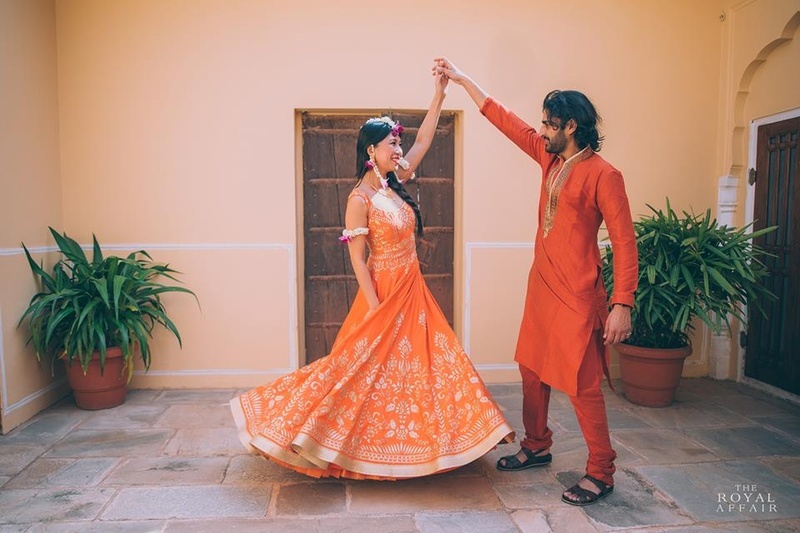 Bride and groom enter the venue for their haldi ceremony dancing to the beats of dhol. 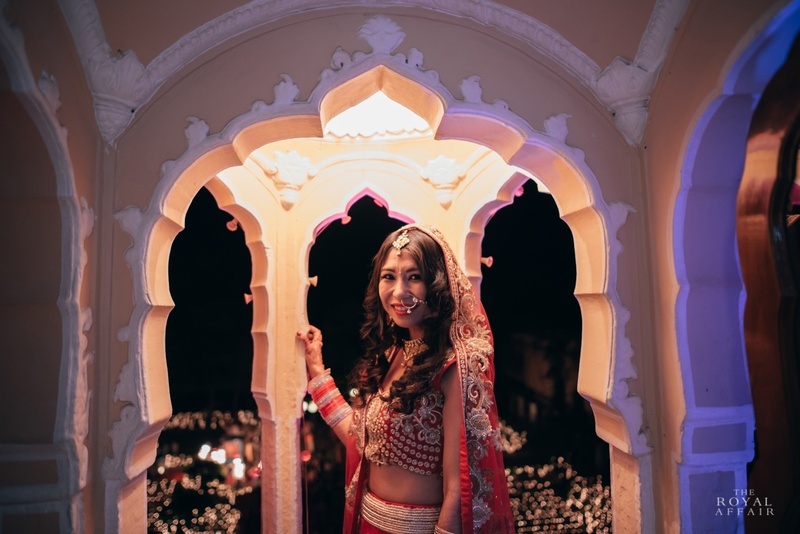 Bride wearing gold tasseled bralette with a Rajasthani print wrap around skirt and hair tied in a loose braid. 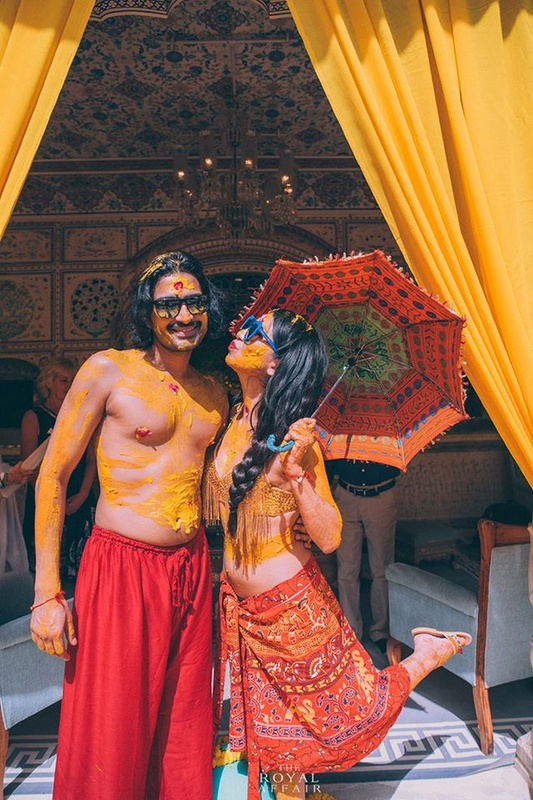 Bride wearing gold tasselled bralette with a rajasthani print wrap around skirt and her hair in a loose braid. 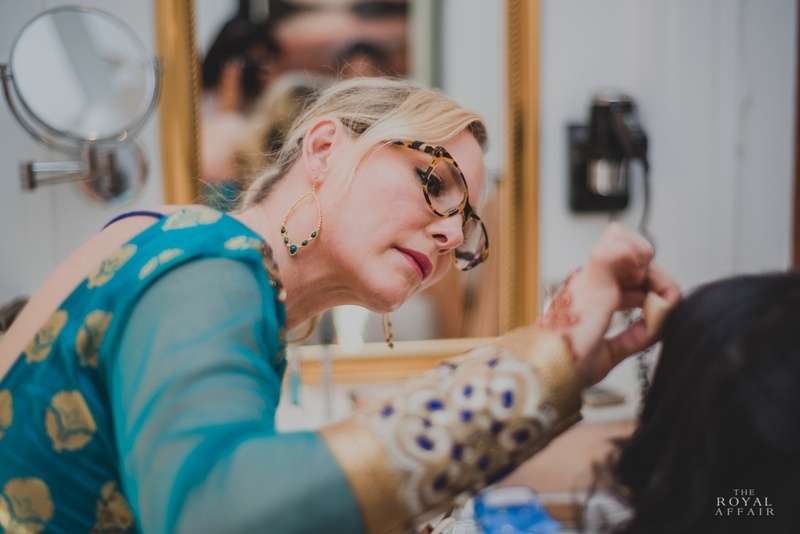 Famous celebrity makeup artist, Carmindy Bowyer at the mehendi ceremony. 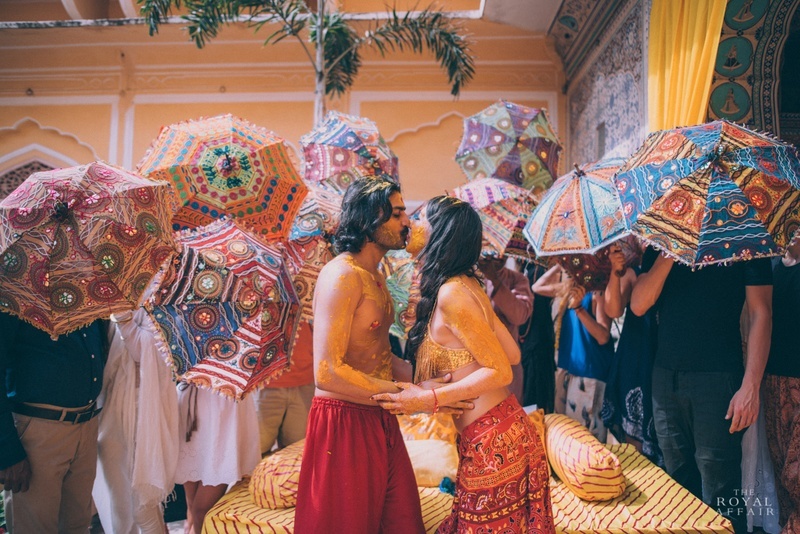 Jasmine and Alladin recreated theme or out did our expectations of a themed destination wedding?! 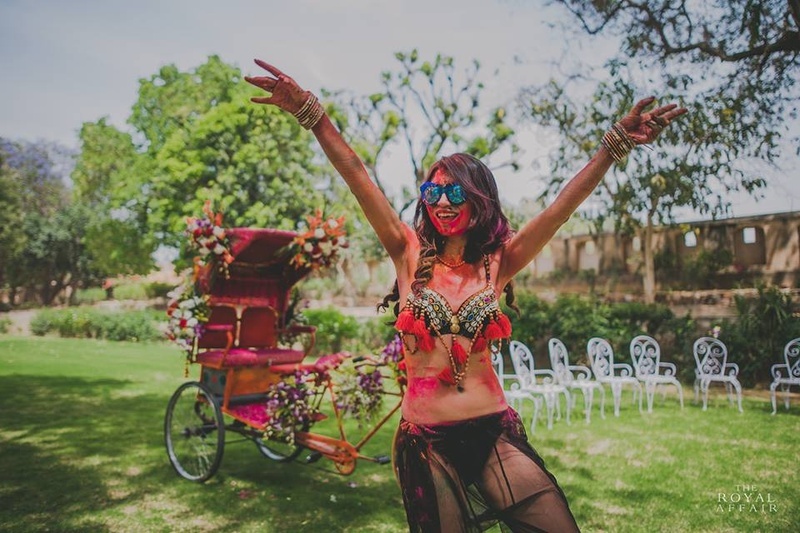 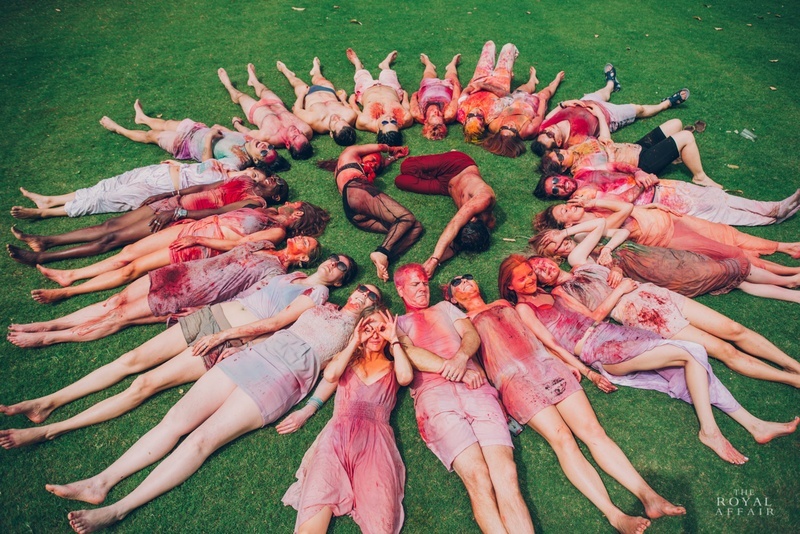 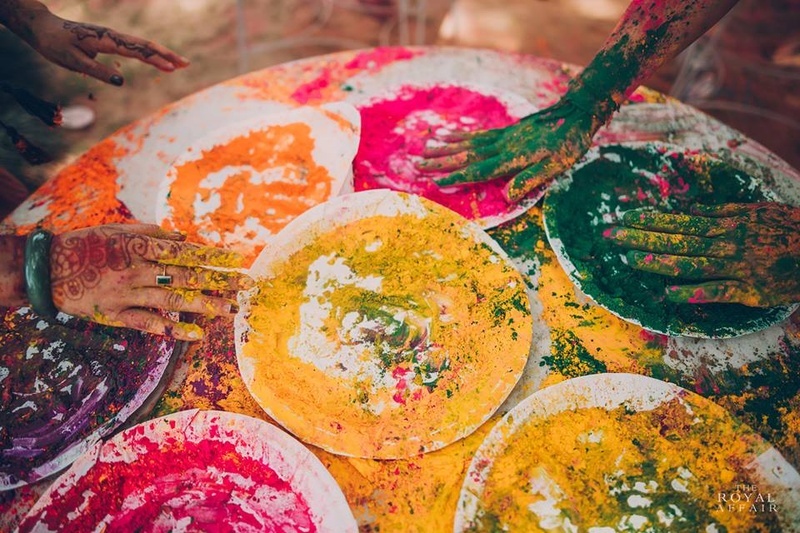 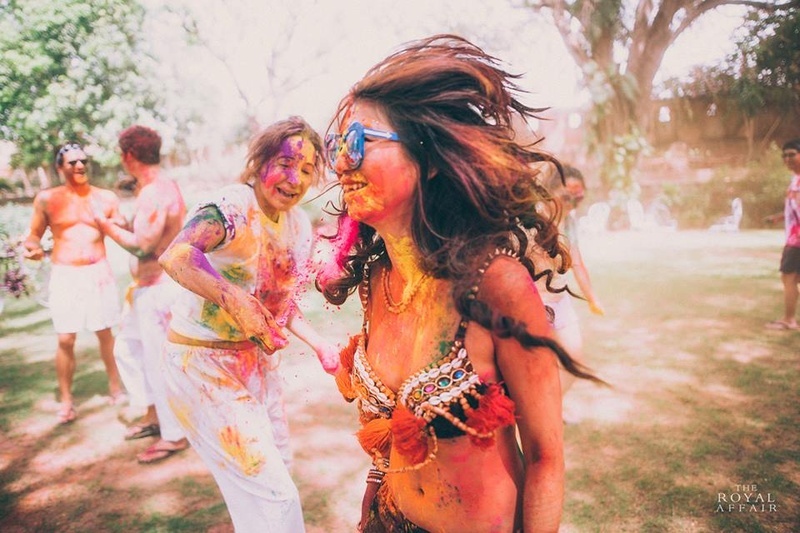 Painted and drenched in vibrant colors for the Holi celebrations.